For two years, President Donald Trump kicked and screamed and led a chorus of invective about a "rigged witch hunt" and a "hoax" and a vast partisan "deep-state" conspiracy against him. Now the Justice Department says special counsel Robert Mueller found no evidence Trump conspired with Russia in the 2016 election. The White House pronounces the president vindicated. Maybe, just maybe, the law-enforcement apparatus functioned fairly after all. Left unexplained is the simple logical question of why a so-called “rigged” probe would have absolved its biggest subject of any criminality. 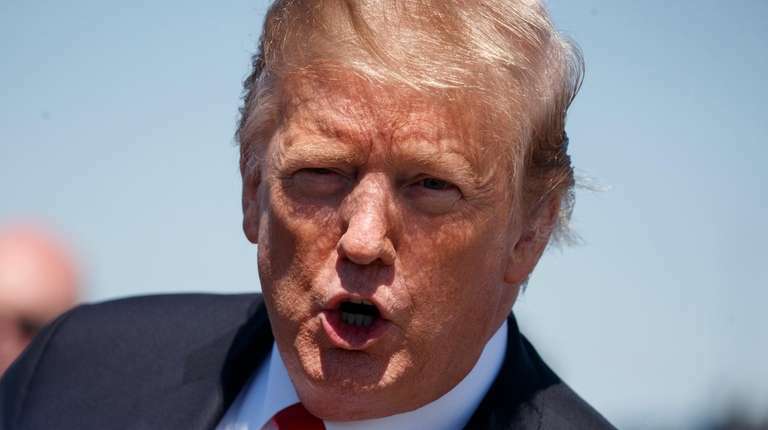 But William Barr said the report neither concludes that the president committed obstruction nor does it "exonerate him." Remember: Trump won the presidency after wailing and sneering that the Republican primaries and then the general election were "rigged" against him. His pre-emptive complaints never made sense, but they did supply adrenaline, drama, and juicy conspiracy beliefs for the faithful. Given Trump’s track record, there was scant reason to take him seriously last week when he suggested he'd gladly see Mueller's Russia report released in full. “Let it come out, let people see it," Trump first told reporters last week. This pose might sound familiar as well. Before running for president, Trump said he would "absolutely" disclose his income tax filings as do other candidates. Then he refused. As president, he said wanted Mueller to interview him in person. That never happened either. Looking ahead, Attorney General William Barr may still serve to suppress portions of the Mueller report that would criticize the president’s conduct and that of his cohorts. Trump coyly noted on Wednesday that the extent of release "is up to the attorney general. We have a very good attorney general, he's a highly respected man. And we'll see what happens." Curiously, Trump also feigned ignorance as to why Mueller was writing a report at all. "It's interesting that a man gets appointed by a deputy, he writes a report, uh, you know, never figured that one out. Man gets appointed by a deputy, he writes a report … My voters don't get it and I don't get it." But the procedures were fairly plain all along. First Attorney General Jeff Sessions recused himself in 2017 from the Russia probe due to a potential conflict; Sessions revealed that while involved in the Trump campaign he met twice with the Russian ambassador. So Deputy Attorney General Rod Rosenstein tapped Mueller, with bipartisan backing, to investigate. It was always understood Mueller would report back to the Justice Department. In the interim he produced noncollusion criminal cases against Trump associates that resulted in convictions. All the while a sneering Trump took nasty personal shots at anyone who wasn't snugly on his side. Mueller's final report presumably accounts for cases he prosecuted and those he did not. While Barr has discretion in deciding exactly what details to release, he also must report to Congress. Anything less than full disclosure gets stridently challenged by the Democratic-led House. The Mueller investigation has ended. The shouting and imprecations have not. Trump team opposes calls to release full Mueller reportWhite House officials and President Donald Trump's legal team made clear that they plan to push back on calls by congressional Democrats to release the full findings of special counsel Robert Mueller's two-year Russia probe. Latest news: Trump presidencyGet the latest news on President Donald Trump and his administration.